An architect and urban planner, Fernanda Barbara graduated in 1993 for the Architecture and Urbanism Faculty of São Paulo University (FAUUSP), where she also completed her Master’s in 2004. She also studied at the École de Hautes Études en Sciences Sociales in Paris in 1994 and 1995. She has been a coordinator and teacher at Escola da Cidade’s Estúdio Vertical since 2007 and also teaches parts of the Architecture Course at the Armando Álvares Penteado Foundation. She has participated in seminars in Chicago and Lisbon, and given lectures at the Faculty of Architecture in Porto and the University of Córdoba. 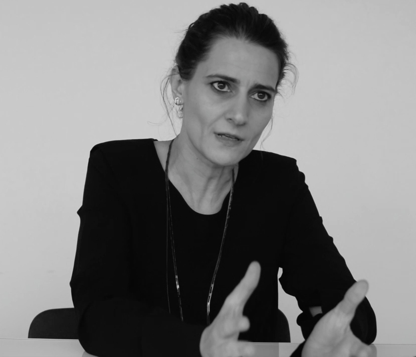 She was a member of the curatorial team which represented Brazil at the Venice Architecture Biennale in 2006, from which resulted the exhibition and catalogue Redes e Lugares. Besides her academic studies in the fields of architecture and urbanism, she is also a trained journalist and has studied Social Sciences and Philosophy.